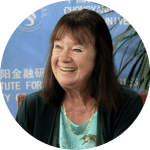 On Thursday, October 5, at Noon EDT, Helga Zepp LaRouche, the Founder and Chairwoman of the Schiller Institute, will inaugurate a weekly English-language webcast, to spread what she calls the “New Silk Road Spirit” to the world. Mrs. LaRouche is one of the most prominent intellectual authors of the concept “The New Silk Road becomes the World Landbridge”. Since Chinese President Xi Jinping put the New Silk Road, the Belt and Road Initiative, as it is now called on the agenda four years ago, it is lifting tens of millions out of poverty, and puts an alternative to the dangerous idea of geopolitical division of the world. 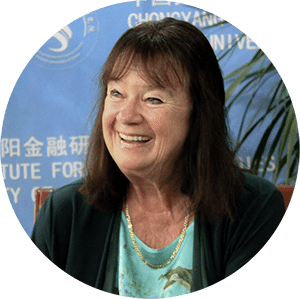 Known internationally as “the Silk Road Lady,” Mrs. LaRouche is often featured in the Chinese press for analysis on the BRI, and the global strategic situation. Each week, Mrs. LaRouche will provide a concise update of strategic developments, and a strategy for establishing a new paradigm in international affairs, shedding light on the forces behind the “Maidan”- coup against President Trump, who is targeted, because he has promised to bring the relationship between the US on the one side, and Russia and China on the other, on a good basis. Despite the effort of the transatlantic mainstream media to keep the lid on the issue, if the populations of the US and Europe were adequately informed about the enormous progress of the Belt and Road Initiative, they would have a much more optimistic view of what the future can look like. In speaking to an American audience last Saturday, Mrs. LaRouche said that to bring the United States into this New Paradigm, “you have to somehow develop a perspective which is not bound and not affected by your daily environment and your daily experience, but you have to inform your vision about something else: you have to have an idea where mankind should be in 100 years from now. You should have an idea of what are the physical laws of this Universe, and why our opponents are just poor, opinionated idiots who cannot succeed. It is time for Americans and citizens of all nations to become world citizens, in order to be effective patriots! Organize your friends, neighbors and associates to participate in these weekly webcasts — your future, and that of your children and grandchildren depend on whether we can bring the U.S. into active engagement with this New Paradigm.